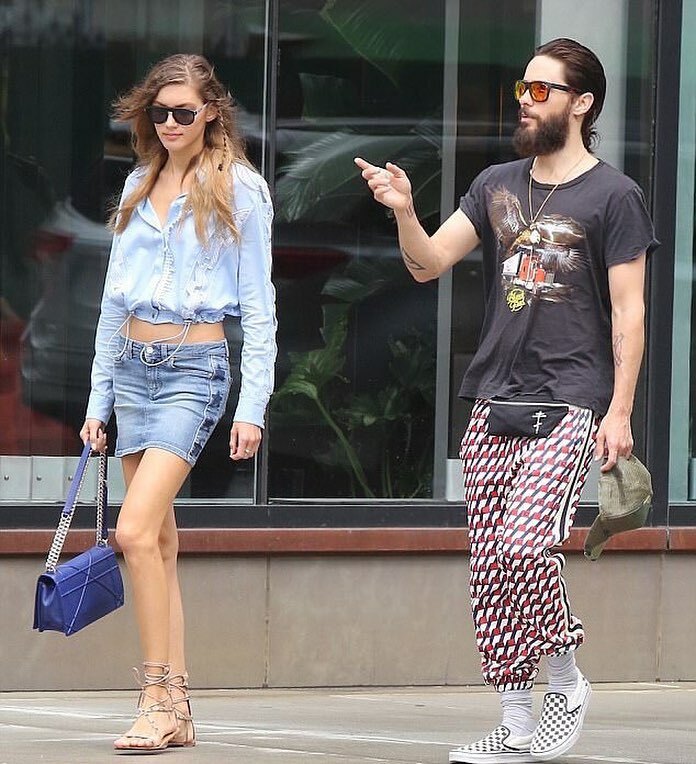 Paparazzi "caught" the musician Jared Leto on a walk with the model Valery Kaufman. The personal life of the 45-year-old musician and actor Jared Leto has always been a hot topic for discussion in the media and social networks. This time, rumors of a new musician's affair attracted the attention of journalists again. 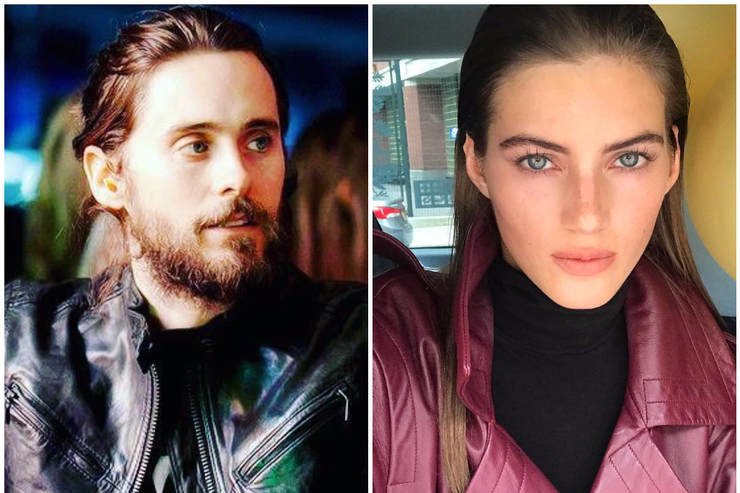 Jared Leto was seen in New York with a 23-year-old model of Russian origin Valery Kaufman. As Just Jared writes, Leto and Kaufman dined at a restaurant in New York. Note that rumors about the affair of the actor and model began circulating in 2015, but Valery and Jared did not comment on the relationship. 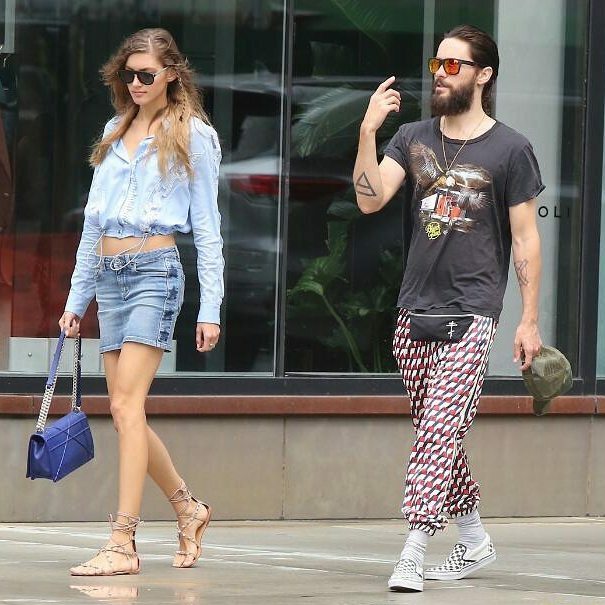 In 2015, Jared Leto turned his attention to Russian model Valeria Kaufman: сouple was seen on a walk, holding hands and kissing. Despite all the efforts of the paparazzi who have made a lot of photos proving an affair, neither Jared nor Valery commented on their relationship. The time has passed, the rumors have gone quiet, and the other day the 45-year-old musician and 23-year-old model were again spotted on a date in New York: the couple was seen holding hands in the streets of Manhattan and talking about something. It is still unclear what connects Leto to Kaufman, however, judging by the pictures, both of them are more than friends. Valery is a successful top model, which took part in the Dior, Chanel, Valentino, Tom Ford fashion shows. She also worked with such fashion brands as Alexander Wang, Balmain, Prada, Versace, Gucci, Dolce & Gabbana. Recall, according to the media Leto was linked up romantically with Russian models Anna Vyalitsina and Anastasia Krivosheeva. Recall Valery Kaufman was born in Moscow, and a few years ago her career just took off. She graced the cover of Russian Vogue, participation in fashion shows for Chanel, Dior, Oscar de la Renta, Tom Ford, Valentino, advertising campaigns of eminent brands and got the title of Victoria's Secret angel.